Home › The Afterlife › How Many Hells did Swedenborg Say there Are? If you keep bogies and goblins away from children they would make them up for themselves. One small child in the dark can invent more hells than Swedenborg. What is Chesterton talking about? How many hells did Swedenborg say there are? This arrangement draws on the philosophical and esoteric concept of “macrocosm and microcosm,” which is a fairly common theme in Swedenborg’s theological writings. Note that since hell is a distorted and inverted reflection of heaven, the highest, or least malevolent hell is opposite to the lowest, or least exalted heaven; and the lowest, or most malevolent hell is opposite to the highest, or most exalted heaven—similar to a mountain whose upside-down reflection appears in a lake. In addition to speaking of all of heaven and all of hell collectively in the singular as “heaven” and “hell,” and in addition to speaking of there being three heavens and three hells overall, Swedenborg also stated that heaven and hell are divided into myriad communities, each of which is referred to as “a heaven” or “a hell” in its own right. Although I am not aware of any place where Swedenborg stated explicitly that each evil spirit in hell is a hell in smallest form, the inverse parallelism that he established between heaven and hell suggests that the same principle would apply to hell as well. Based on this, if Swedenborg spoke of each community of hell as “a hell” (in smaller form), and by extension, if even each individual evil spirit in hell could be considered “a hell” (in smallest form), then according to Swedenborg there are too many of these smaller and individual hells to count. 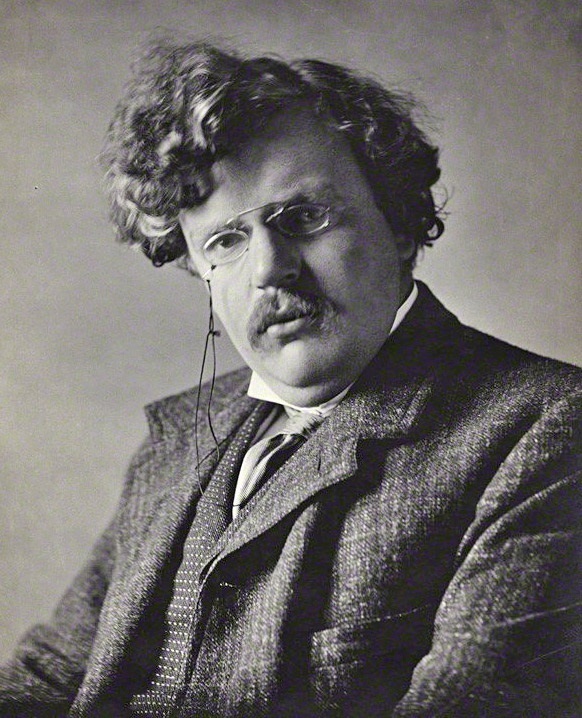 What was Chesterton talking about? Chesterton was apparently using Swedenborg’s countless hells as a rhetorical device to convey with a touch of wry humor the idea that small children can conjure up in their imaginations more scary monsters than it is possible to count. ‹ What is the Biblical Basis for a Heavenly Mother? How many hells are there? As many or as few as you want. The concepts of heaven, hell, God, afterlife, etc., are strictly figments of our imaginations. Swedenborg was, in large part, a product of his times just as we all are. He was certainly a great thinker, theologian, author, and possessed of other fine qualities, including degrees in physics, mechanics and philosophy. On top of that he was a “good ol’ boy” well liked by those who knew him. Wikipedia has a very good summary of the life of Swedenborg. Like many great thinkers throughout history, Swedenborg was possessed of some quirky ideas. At the age of approximately 56, he began having strange dreams and “visions”. He claimed to have had a dream in which the Lord appeared to him and appointed him to reveal the spiritual meaning of the Bible. One of S-borg’s subsequent works included the claim that the second coming of Christ had begun in 1757 and completed that same year and that he had witnessed it. These ideas were presented in his book “The Heavenly Doctrine”. In “Earths of the Universe” S-borg stated that he had conversed with spirits from Jupiter, Mars, Mercury, Saturn, Venus and the Moon as well as spirits from other planets beyond our solar system. Some of the “conclusions” he reached as a result of having dreams and visions were utterly preposterous. For sake of brevity, I will not list additional outlandish claims he made which can be viewed on Wikipedia. It could hardly be a coincidence that many church founders and religious leaders claim to have had visions from God which form the basis of their subsequent beliefs on the subject. Joseph Smith, Muhammad, Jim Jones, Swedenborg, Brigham Young, Jesus, various Popes, Native American Medicine Men, Ann Lee and the Shakers, Joanna Southcott, Mary Baker Eddy, Rebecca Jackson a black Shakers, Jemima Wilkinson, John Starkweather, John Alexander Dowie, The 1700s and early 1800s were an era of when visionaries and prophets were popular and attracted large followings. Like Swedenborg, if a visionary was well educated, intuitive, well spoken, well written, and a “salesperson”, their chances of attracting followers was greatly increased. It also provided as “free pass” to those who were either incapable or unwilling to think on their own. . “Godly Plagiarism” is a beautiful, ripe fruit easily plucked from its tree. Do not fear drawing your own conclusions but fear those who strive to make them for you. Swedenborg was evidently not a very good “salesperson.” He published most of his works anonymously, and only began putting his name on them rather late in the game, when it became publicly known that he was the author of these works. Even then, he made no particular efforts to gain a following. He mostly confined himself to sending his books to various seminaries and libraries, and making them available for purchase very inexpensively. And though they did create a great stir, they produced very few followers for Swedenborg during his lifetime—and for that matter, not even all that many after he died, compared to the much larger following of some of the other colorful personalities you have listed. Swedenborg himself insisted that nothing should be believed on mere authority—his own or anyone else’s. Rather, he said, things should be believed only when they are seen and understood for oneself. People who simply believed what others taught them, he said, were possessed of a shallow “historical” faith, not a real faith. About Swedenborg’s book on life on other planets, see my article, “Aliens vs. Advent: Swedenborg’s 1758 Book on Extraterrestrial Life.” Though Swedenborg was clearly wrong about the other planets in our solar system being inhabited, there is a long history of thinkers who believe that there are other inhabited planets in the universe, and many respected scientists today believe it is only a matter of time before we find them. So although Swedenborg’s specific view that all planets must be inhabited by intelligent life was faulty, the greater principle that there are likely other inhabited worlds in the universe is still a very live possibility in the minds of many thinking people. And once again, Swedenborg advised against accepting uncritically anything anyone—including himself—says. For more on the nature of Swedenborg’s writings, from my perspective, see: “Do the Teachings of Emanuel Swedenborg take Precedence over the Bible?” As in reading any author, it is best to read Swedenborg’s theological writings with one’s thinking mind engaged, and not just blindly believe everything he wrote. It’s easy to reject as outlandish ideas that go beyond our current thinking and conceptions of the universe. It’s harder to take them seriously, and to expand our mind to encompass a greater understanding of God, spirit, and the cosmos in which we live. If you prefer to ridicule and make fun of ideas that you do not agree with and apparently do not fully understand, that is your choice. I prefer to take a larger view. Thank you for the feedback and the discussion. Far too many shy away from these type of exchanges. Everyone, including Swedenborg, is 100% correct in their own beliefs. I neither agree nor disagree with Borg’s conclusions. Who am I to judge? Nor is it my intention to ridicule anyone for their beliefs. However, I do believe in looking at the big picture that surrounds one’s point of view, especially when it is adopted by others. Based upon my reading of some of your earlier posts, it appears we both agree religion and faith is a collage of ideologies without limits. My scrutiny of other’s ideas and points of view is heightened when attempts are made to objectify and quantify the abstract nature of our existence and life’s purpose whether it be Swedenborg or anyone else. I encourage everyone to seek spiritual insights, not “answers”, through self-realizations however they may be acquired. Above all, be true to yourself. I’ve never been one to shy away from a good discussion or debate. Though these days I do my best to engage in them only when I think some good can come of it. I’m not sure what you mean by saying that “everyone . . . is 100% correct in their own beliefs.” Since some beliefs conflict with and flatly contradict others, that seems a stretch. Reality does have definite and specific characteristics, I believe. I always thought if there was 1 afterlife that’s true, Swedenborg would be the best of them all. But he said some weird stuff about aliens, I read a criticism about him (so Idk if true) that said he saw them in the same clothing that people of his area wore. Why would aliens be dressed like 1800’s Sweden? As for the clothes they were wearing, I’m not a clothing historian, so I can’t say if his descriptions match clothing styles in 18th century Europe. My impression is that most of them are dressed fairly simply, in what we might call peasant garb. And though popular science fiction generally has aliens wearing mod and outlandish garb, I see no particular reason why people of the simple, non-technological cultures Swedenborg described as inhabiting other planets wouldn’t wear similar types of clothing. Peasant garb is pretty basic and functional. On at least one planet he describes the clothing as something like a wrap around the body, which presumably did not match what people in the 18th century wore, except perhaps in Asia, with which Swedenborg wasn’t particularly familiar. Anyway, there are only so many practical ways to clothe the human body. I don’t see why human-shaped aliens would wear clothing in ways we have never conceived of before. Just a few of my own thoughts on the subject. About Swedenborg’s writings in general, and how I view them, please see: “Do the Teachings of Emanuel Swedenborg take Precedence over the Bible?” Swedenborg never claimed to be infallible. As with reading any author, it is good to read with our thinking mind engaged, and not just blindly accept everything he says as authoritative and true just because he said it.